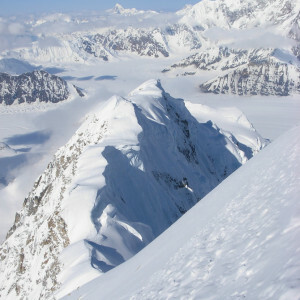 Alaska Expedition – The West Ridge of Mt. Hunter: 14,500 ft.
Mt. Hunter has gotten more notice over the past few years. On its walls and ridges lie some very challenging and beautiful climbing. All of the climbs on this mountain are physically and technically demanding, as they are a mix of rock, ice and snow climbing. 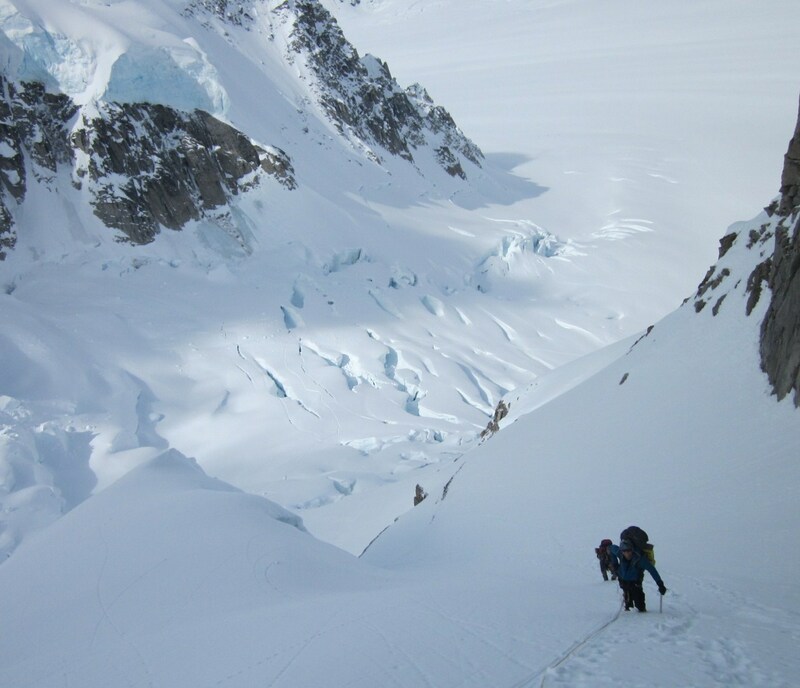 We have led numerous successful expeditions on the West Ridge since 1982 and have led attempts on other routes. The West Ridge is a true classic and deserves its status as one of Steck & Roper’s “50 Classic Climbs”. 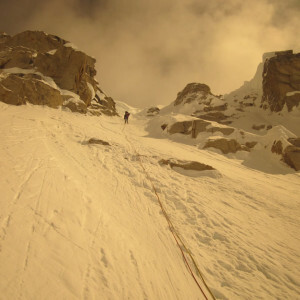 Gary Bocarde did the first ascent of a variation of this route and we offer climbs up both the Bocarde Variation and the original Becky route. Experienced, fit climbers with find this route an exhilarating challenge. This is a route with objective hazards that can be mitigated, but not removed. In particular, there is an area threatened by seracs that guard the entrance to the route itself. These tend to be geologic hazards, but anyone considering an attempt on Hunter should be aware of them. DAY 1: MEET IN ANCHORAGE / DRIVE TO TALKEETNA. Our Team Meetings are generally scheduled at 10 A.M. for an expedition orientation and equipment check. This is a very important meeting, which all climbers must attend. Be sure to arrive in Anchorage early enough to make the meeting; which may require arriving a day early. Unless other arrangements are made, our trip fee includes up to two nights accommodation at the Millennium Alaska Hotel, which is conveniently located and offers free airport transfers. DAY 2: TRAVEL TO TALKEETNA AND FLY TO THE GLACIER. Mountain Trip provides transportation to Talkeetna, where we’ll have a brief registration process to finalize with the National Park Service. This should go quickly, and we hope to fly to the glacier in the early afternoon. 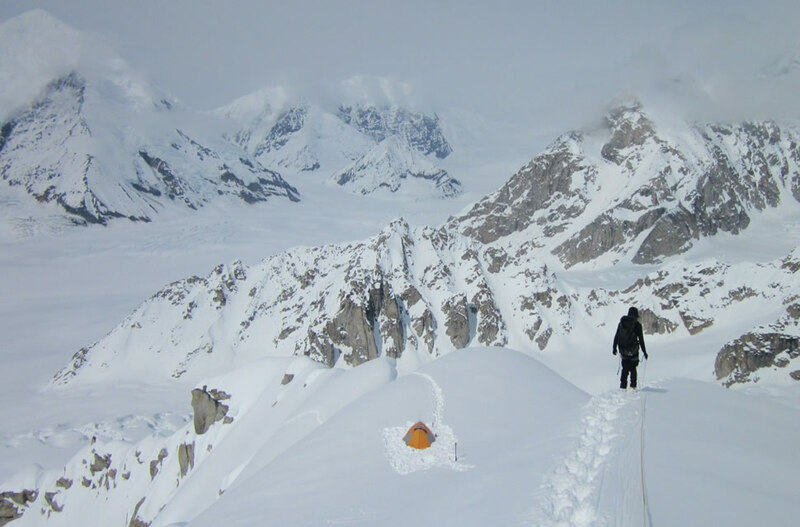 After arriving, we should be able to make the relatively short, (mostly) downhill, hike to the base of the route, where we will establish our Base Camp. 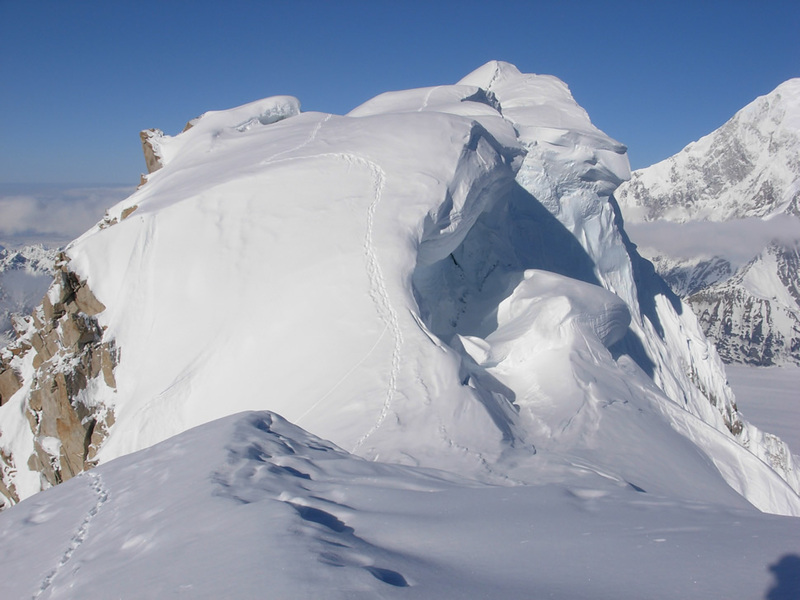 There can be some hazard from ice fall as we approach our Base Camp, so how far we make it could be subject to the guide(s) hazard assessment at the time. 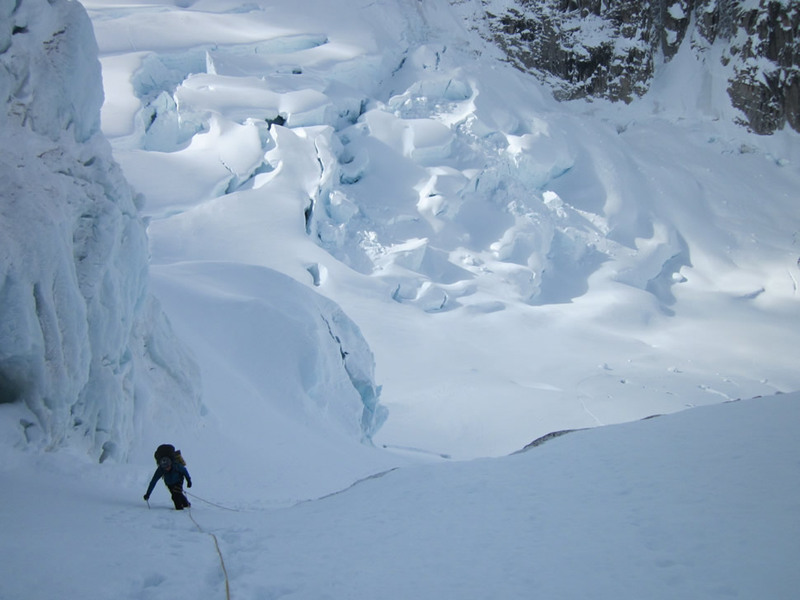 DAY 3: RECON AND ESTABLISH OUR ROUTE THROUGH THE ICEFALL. 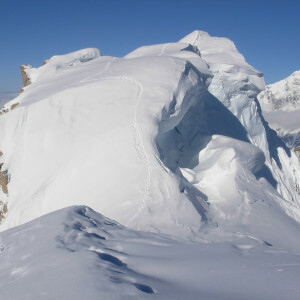 The start of the route climbs through a moderately steep icefall, to gain the West Ridge proper. 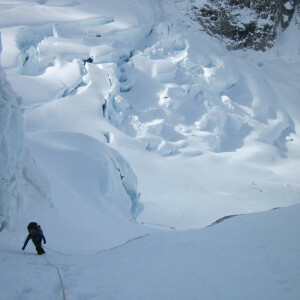 The route can change from year to year, due to glacial movement, and can often have some degree of objective hazards from avalanches or serac falls. 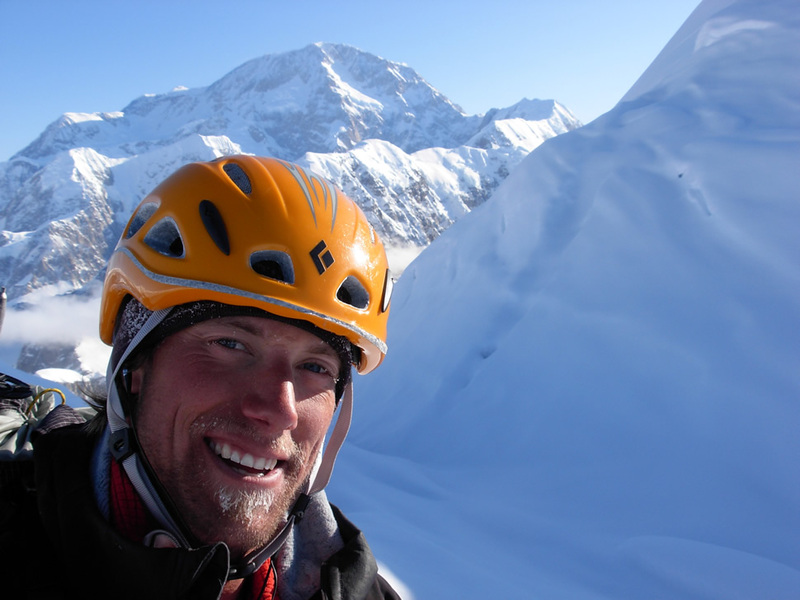 This day is partly an assessment of the hazards and also a day devoted to route finding through the icefall. This can be a challenging day, depending on conditions. DAY 4: MOVE UP TO CAMP 1. 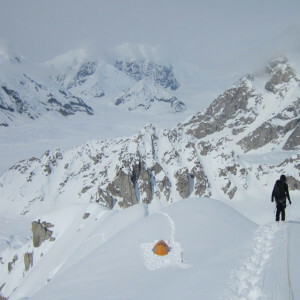 We’ll head out of Base Camp and move camp up onto the West Ridge proper. 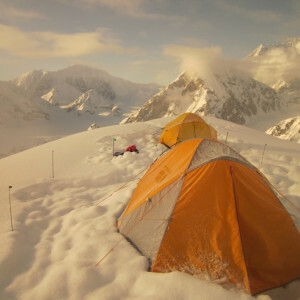 We have options for camp sites, and conditions will dictate where we camp. DAY 5: RECON / PUT TRAIL IN TO CAMP 2. 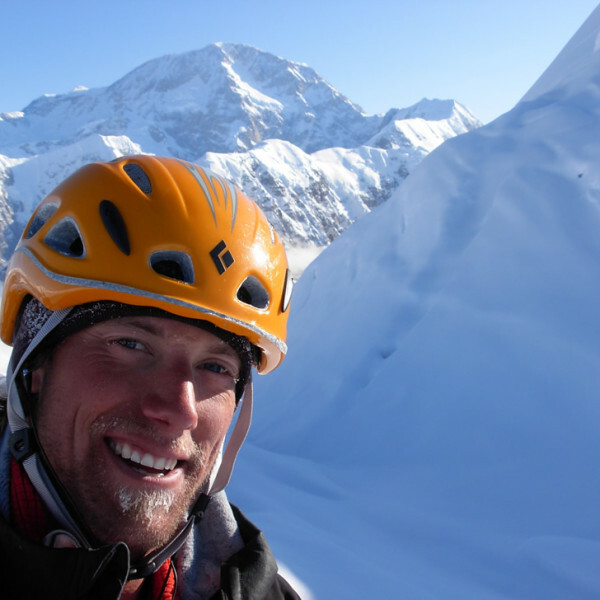 Our goal will be to put in our camp near the base of a steep, 55 degree headwall/ice face. If conditions are favorable, we could single carry this day, but often, we need to break trail to this camp, requiring a carry day. DAY 6: MOVE TO CAMP 2. Move up to our high camp and prepare for our summit bid!. DAY 7: SUMMIT DAY! 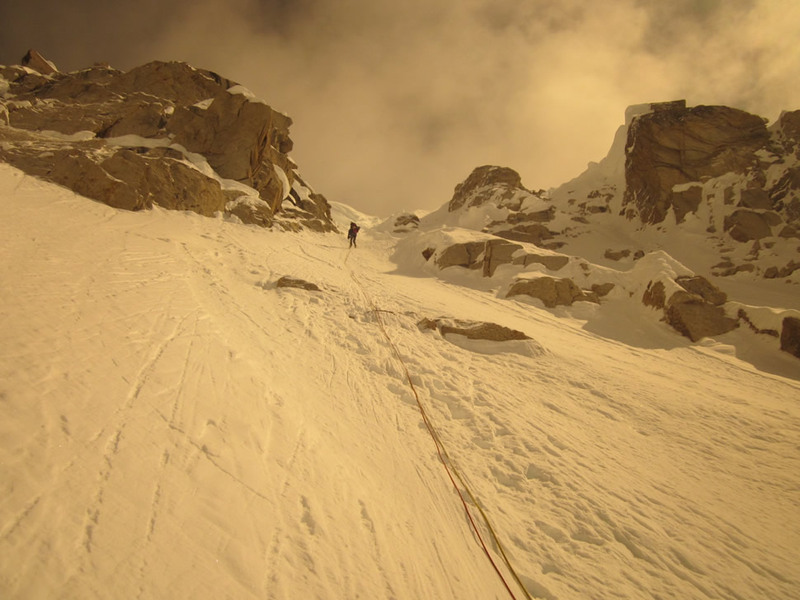 Steep snow climbing up the headwall will take us to the summit plateau. DAY 8: DESCEND TO BASE CAMP. DAY 9: RETURN TO THE AIRSTRIP ON THE SE FORK OF THE KAHILTNA GLACIER. 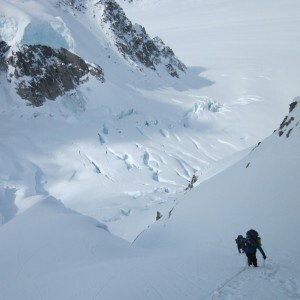 The following is a general list of required gear for climbing Mount Hunter with Mountain Trip. 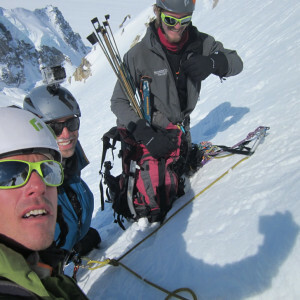 Climbers joining us on an expedition will receive an updated, comprehensive equipment list that may supersede this list. Many of the items on the list need to fit you well in order for you to fully enjoy your experience on the mountain. Please plan ahead with equipment purchased for your trip so you can be certain that your gear fits you well. Cresting West Ridge of Hunter, is not the place to discover that your pack is too small for your torso, or that your boots give you blisters. Recommended items reflect the opinions of our guides. We have used and have faith in all of our recommendations, but they may not necessarily fit or work for you. 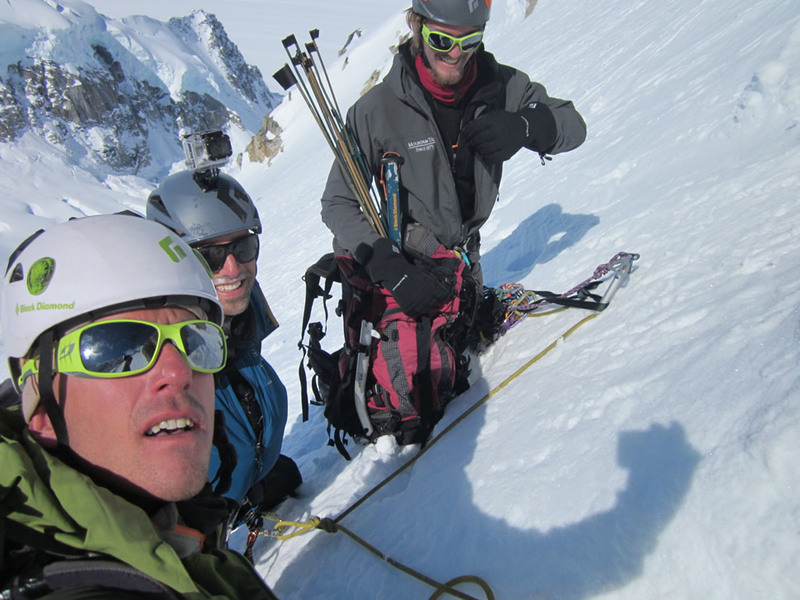 • All Mt Hunter expeditions require a $1500 deposit to secure a spot on the team. Your submission of a deposit constitutes your acceptance of this Fee Schedule, Refund and Cancellation Policy. 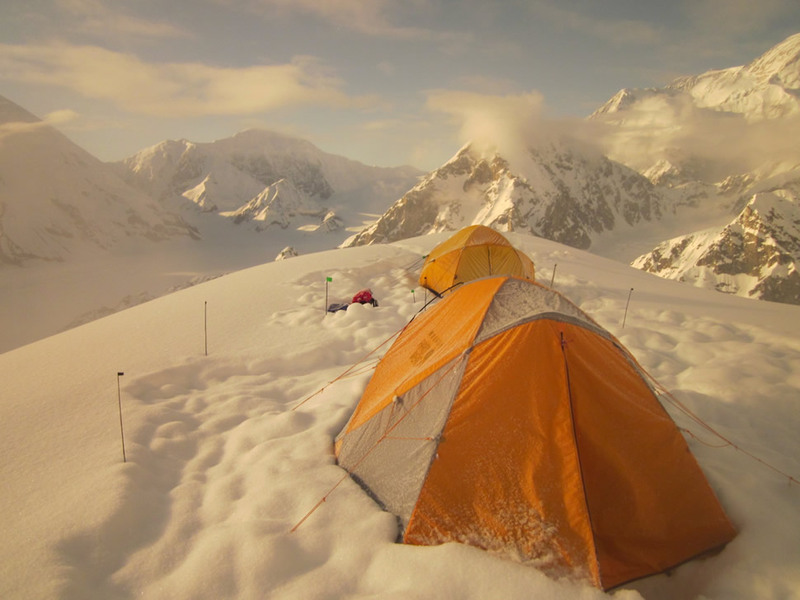 • All deposits for Mt Hunter expeditions include a non-refundable $750 administration fee. • Lodging in Alaska, although we can help secure rooms in Anchorage at a negotiated rate – please inquire about this option. 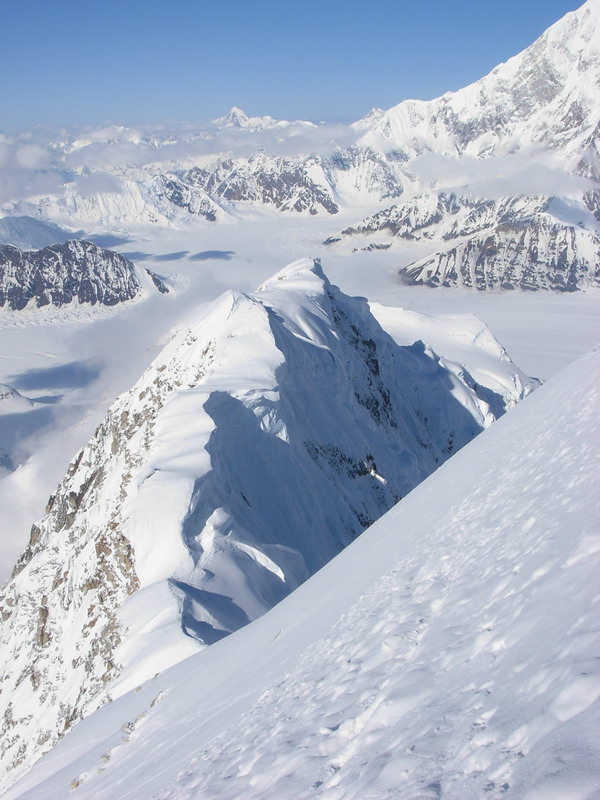 Due to the manner in which the NPS allocates use in Denali National Park, beginning in 2017, all Hunter climbs will be available only on a private, custom basis. If you have any additional questions or would like to book a Mount Hunter mountaineering trip, give us a call at +1-970-369-1153 or send us a note.